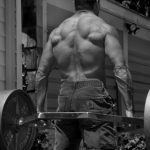 The farmer’s walk is an exercise that is finally starting to get some recognition for being one of the best overall exercises. It is still far too underutilized though unfortunately. This is partly due to the fact that most gyms simply don’t have any open room for people to be walking around carrying a couple hundred pounds or more. It’s also due to the fact that while it is starting to get more recognition there are still a lot of people who just don’t do it. For example, I have been going to the same gym for a couple years now, probably 5 days a week. 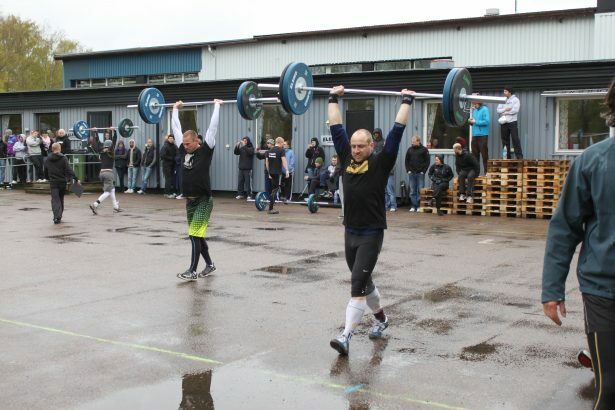 I cannot recall even once seeing someone do any form of a farmer’s walk ever, aside from myself. Some people there probably even wonder what the heck I am doing. Building muscle and getting strong as hell, that’s what I am doing! 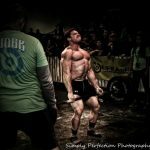 Benefits of the farmer’s walk? 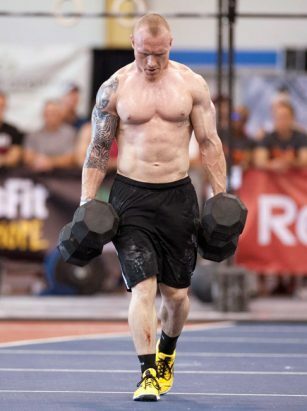 The farmer’s walk is a whole body exercise that is really hammers the upper back and traps hard. It is also one hell of a grip builder. 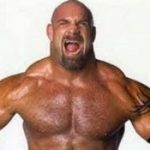 They also create a large hormonal response as it has been shown most strongman type exercises will. The farmer’s walk also does well at working core. This is because you need to have a stiff and rigid spine to allow a nice upright postural position. It is also does well to promote shoulder and rotator cuff health. 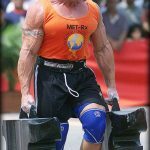 How to do the farmer’s walk? The farmers walk is simple. Just pick up something heavy object and carry it for a certain distance. Farmer’s walks are typically done with dumbbells, kettlebells, a trap/hex bar, sandbags or basically anything you can carry. You can even go grab a couple of those Home Depot buckets for $3 each and fill them with sand, dirt, water, nails or whatever you have on hand. Now you really don’t have an excuse not to do them. Now that you know everything there is to know about farmer’s walks, let’s get crazy on some workouts that will send you home crying to mama. Pick a pair of dumbbells or kettlebells you would struggle to walk about 50-yards. Try and put the weights down as minimal as possible during the 100-yard carry. I know, this one isn’t that brutal, but it’s not exactly easy. Let’s move on to the next one where things get a bit more difficult. Grab a pair of 35-50lb (at most) dumbbells or kettlebells, I know that doesn’t sound like a lot for most people. Now walk with it for 1 mile. Trust me, it’s not easy and many of you won’t finish. You will likely have to go out on the track or have an outdoor course mapped out for this one. Don’t be one of those idiots who tries to do this on a treadmill. This one is made popular by Dan John, grab a pair of 85 lb dumbbells (or less weight if needed) and carry them for 5 minutes. Then return the weight back to where you started from. Simple yet brutally tough. This is one you may need to do outdoors unless you can count all the laps you do around the gym in 5 minutes. Get a couple dumbbells, a sandbag or barbell loaded with half your bodyweight. Hoist it up over your head. Carry it like that for 100 yards. You will really feel this one in the shoulders! You also may not be able to finish either. Grab a weight that is equal to your bodyweight in each hand. Most gyms won’t have dumbbells this big, if you are lucky enough to have a gym with the farmers handles you can use those. If they don’t have either of those, which most won’t, hopefully your gym has a trap/hex bar. Load that with double your body eight plus 30-50lbs extra. The extra weight is because using a trap bar is a little bit easier than using dumbbells with the same weight. So the 30-50lbs should cancel that out. Now carry that weight for 50 yards. Carrying weight that heavy for that far should have you feeling like a total beast afterword, if not have your pulse checked to make sure you have one. If your gym doesn’t have any of the equipment listed above tell the manager that their equipment is lame and just stick with the 4 workouts above. There you have it. 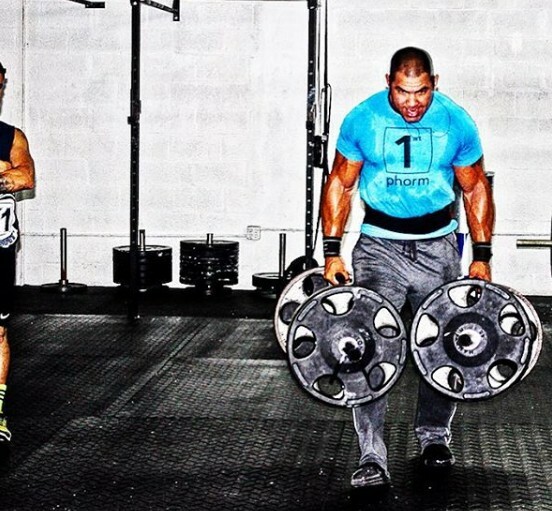 5 brutal farmer’s walk workouts to take you to the next level. Don’t be ashamed if you need to use straps on some of these, most people don’t have the grip strength to go without them. Have fun and enjoy the pain.